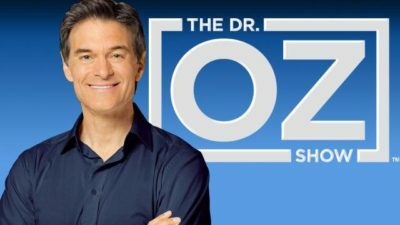 I have been watching The Dr. Oz Show, albeit re-runs, regularly in early morning gym sessions, and long admired him for being the popular face of TV medicine. Scowl as some might, but Dr. Mehmet Oz does a really good job bringing medical facts in a simple visual way to the masses, helping the public gain a greater understanding of common symptoms (an example of Dr. Oz explaining irritable bowel syndrome). Dr. Oz manages to do this in a friendly doctor way, without the unnecessary glitz and ritz of The Doctors. With obesity being the most common metabolic disease in the USA, Dr. Oz has certainly contributed his fair share in educating the public on the options of surgery (on the lap-band) and conservative measures (with Jennifer Hudson). Unfortunately, it is all too easy, even for medical practitioners, to be caught up in the easy-fixes in the chronic health department, of which obesity belongs to. Dr. Oz has been recently brought to task to justify his promotion of Pure Green Coffee and Garcinia cambogia as a miracle cure to obesity, without exercise, diet or effort. These claims are certainly not backed by sound evidence, and he seemed to have trespassed his responsibility as a medical practitioner, in peddling scientifically unproven dietary supplements. Medical practitioners bear a much higher responsibility than celebrities, especially when it comes to endorsing dietary supplements and slimming centres. The onerous responsibility comes at a double burden in the case of Dr. Oz, who might just have faltered as a result of having to keep up with celebrity endorsements. Perhaps the same can be said about scientifically dubious weight loss claims in local media. Unfortunately, there are no quick and easy fixes in weight loss to achieve metabolic health. Even the weight losses after bariatric surgery, scientifically the only medical modality for evidence-based and sustained weight-loss, need to be followed with a sensible diet and physical activity, to stave-off long-term weight rebound. However, having the initial weight lost though bariatric surgery provides an impetus that makes exercise and dieting easier, igniting the passion for a lifestyle change that sustains long-term results. To find out more on bariatric surgery and how it can benefit your metabolic health, contact the Clinic for Digestive Surgery at +65 6570 2702 to speak to our Clinic Nurse. Alternatively, drop us an email at doctor@clinicfordigestivesurgery.com, or fill up the enquiry form at http://clinicfordigestivesurgery.com/contact. We will attend to you at the soonest opportunity.